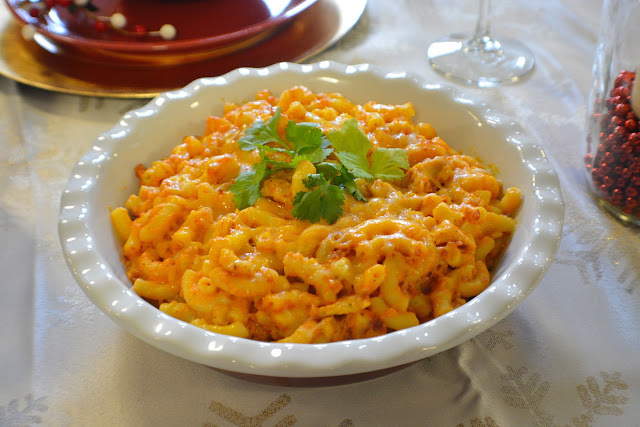 Food Hussy Giveaway: Keystone Frozen Mac & Cheese | The Food Hussy! Keystone provided me a gift card in exchange for this post. All opinions are my own. I've been to Keystone Bar & Grill numerous times - whether it's the Hyde Park, Covington or Clifton location. Here's one time where I tried the Fleetwood Mac - it was one of the first times I had FRESH mozzarella - as well as pesto & tomatoes - yum! And now - 6 years after that post - they're making a big expansion - to bringing their food to the grocery store! 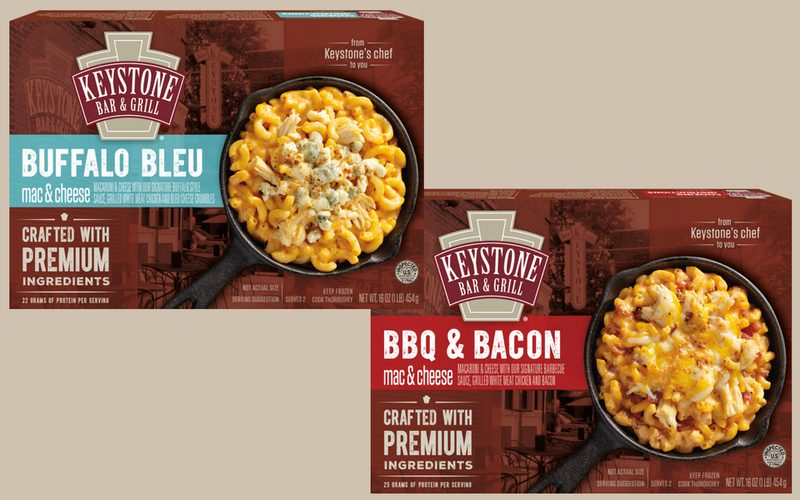 That's right - you can get two varieties of Keystone Mac & Cheese at Kroger in the freezer aisle. They have Buffalo Bleu and BBQ & Bacon - made with premium ingredients and as tasty as you would get in person at Keystone Bar & Grill! And if you're into customizing even your Keystone - you can do it at home! 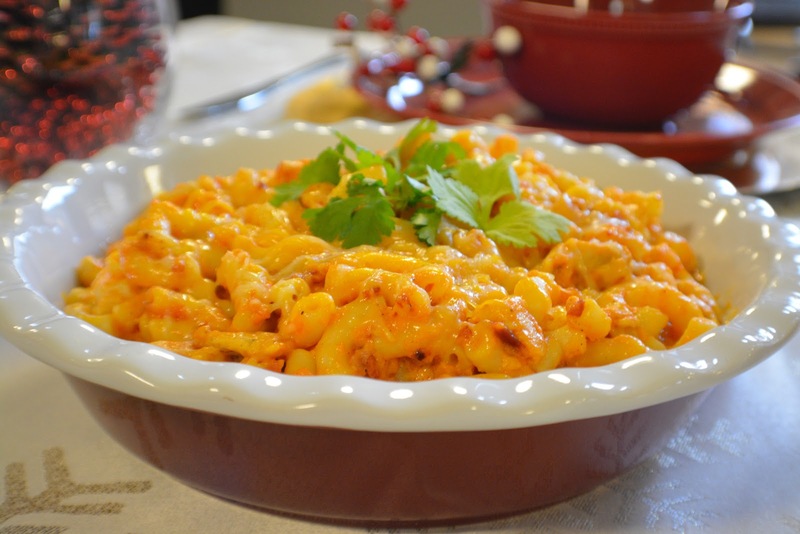 And with the holidays - they gave us some red & green holiday Mac & Cheese personalization tips! 1. Get a holiday serving dish. If you don’t have one, hit the party store for a simple solid red or green serving dish. 2. Top it with red and green bell peppers. The cool thing about bell peppers is that when you slice them across, they make interesting shapes. Use this to your advantage to garnish the top of either Buffalo Bleu or BBQ & Bacon mac & cheese. The flavors will pop and snap, and will complement the flavor profile. Make your slices thin, as you’re going for garnish, not overpowering flavor. 3. Keystone Buffalo Bleu mac & cheese can be complemented with a handful of other decorative greenery. One obvious choice is celery, which is always a natural complement to Buffalo sauce. Again, may sure your pieces are bite-sized as you garnish the top. 4. If you’re not much of a celery fan, try chives, parsley or green onions. Any of these can also work as a topping for our Buffalo Bleu mac & cheese. So - enjoy your Holiday season - grab a box of Keystone at Kroger and have a fun holiday dish with your family! You can even share your creations at @KeystoneFrozen on Facebook. And to help you along - we're going to share a $2.50 off coupon for you to try it for yourself from your local Kroger store! You can also enter to win a $25 gift card giveaway for their local restaurants right here!